Adobe Creative Cloud gives students, educators and staff access to the world’s best creative apps for design, web, video, and photography — all right on the desktop – along with seamless ways to share and collaborate. Only Creative Cloud offers all the essential tools to help students achieve their full creative potential. Ideal for your classrooms, labs, and training environments because licensing is assigned to a computer rather than each user, so multiple students can use the same application on a single computer. NOTE: SDL is replacing device licensing which is being phased out by Adobe. For individuals on their institutional computers, and it includes access to online services and "Home-Use" rights. Named User Licenses are assigned to an individual, and are tied to a specific Adobe ID. Named Users will download applications and updates directly from Adobe. Click HERE for a PDF flyer from Adobe with more information about the two licensing options (Named-User and Device) along with details about what is included with these options. Creative Cloud for Education Deployment Resources - A collection of resources specific to education customers for deploying and managing your Creative Cloud for education licenses. Adobe VIP registration is required for site licensing. E-mail info@actem.org with a NAME & EMAIL ADDRESS of the licensing contact for your school to get set up under ACTEM's VIP registration. NOTE: All ACTEM Creative Cloud subscriptions have an annual renewal date of Aug. 9th each year. Licensing purchased part way through the renewal period will be pro-rated in cost and will be up for renewal in August at the annual pricing. You will need to submit a NAME & EMAIL ADDRESS for the "Named-User" license to register this subscription with Adobe. The end-user will receive an email from Adobe with help to get started with the Adobe CC applications. Named-User licenses allow you to activate Creative Cloud on up to two computers but you may only use the software on one computer at a time. NOTE: ACTEM's agreement with Adobe was renewed on Oct. 1, 2017 for perpetual licensing and we have been moved to higher pricing level. This is happening because of more licenses are being purchased through the VIP (subscription) program and also because Adobe has very few perpetual license options left that are available for purchase. Adobe perpetual licenses (the right to install the product) and Installation DVD's are sold separately. Spark for Education with premium features and additional functionality is now available to K-12 students FREE of charge. 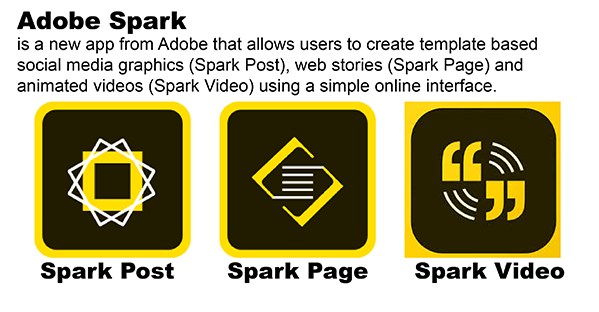 "Normally priced at $120 per year and available on the Spark for Education website, Adobe Spark for Education is a fun and frictionless storytelling Creative Cloud application that runs in any web or mobile browser, enabling students to quickly and easily express themselves via graphics, web stories and video to complete their school assignments and showcase digital creativity." To get started with Adobe Spark for your school/district contact ACTEM (info@actem.org) to get set up with an Adobe VIP account. Once set up, Adobe offers resources for help to get started with your Spark deployment.